Two adjacent parcels totaling 0.57 acres currently zoned as single family residential with ROI land use. Only a short distance away from a brand new shopping plaza that features a Walmart Neighborhood Market, Zaxby’s, T-Mobile, Family Dollar, and many other retailers. 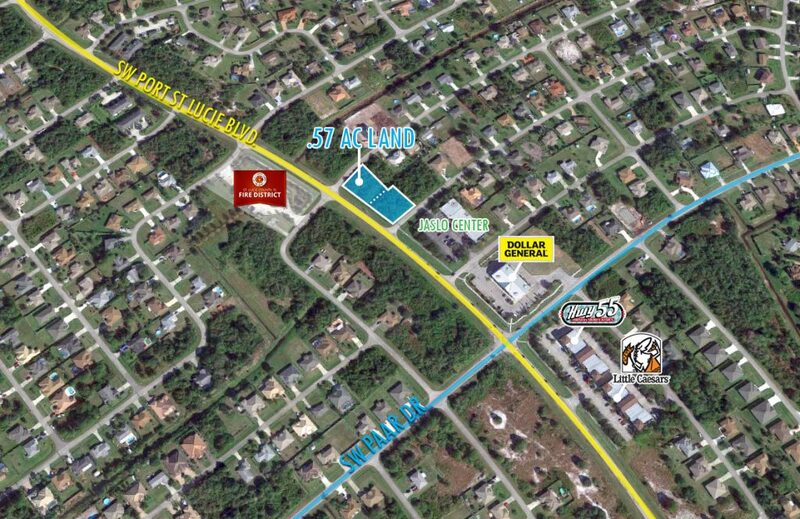 Easy accessibility to I-95 and Florida’s Turnpike which gives quick access to the growing community of Tradition.